I had the good fortune to attend a local wine tasting event last weekend featuring a vineyard whose founder hails from the City of Brotherly Love. Dan Goldfield, a nice Jewish boy who graduated from Cheltenham High School, did not set out to be a vintner. 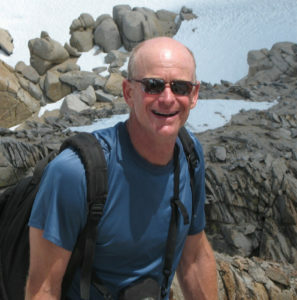 He majored in chemistry and philosophy at Brandeis University, and headed west to study physical chemistry at the University of Utah, where he also explored the canyons and mountains of the region. He ultimately landed a research gig at the University of California-Berkeley, where he first experienced California winemaking. After two years in chemical engineering labs, and two more doing medical research at University of California-San Francisco, Goldfield realized that he was not cut out for the profession. He was drawn to winemaking, which fed his love for the outdoors and used his chemistry and science background. He enrolled in the renowned University of California-Davis enology master’s program, and the rest is history. He spent time at Mondavi, La Crema and, in 1998, partnered with grape grower Steve Dutton to establish Dutton-Goldfield Winery. They produce wines that range from light roses to chardonnays to pinot noirs, syrah, zinfandels and, recently, a port-like dessert wine. My favorite was the 2018 Rose of Pinot Noir, which delivered a fresh burst of fruit beautifully balanced with minerality — I detected notes of strawberry, melon, kiwi and a hint of rose. We bought four bottles. 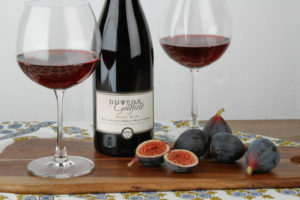 My husband was a fan of the 2016 Emerald Ridge Pinot Noir, a complex wine that brings bright overtones of cherry, smoke and a savory spice at the finish. We bought four bottles of that, too. The folks at Dutton-Goldfield shared this vegetarian take on beef bourguignon. For the recipe, I would not use their zin; it’s rather pricey for a cooking wine. I’d buy something cheaper and save the good stuff to drink with the meal. This quick, vegetarian take on the classic French dish doubles down on the mushrooms and pairs exceptionally well with Dutton-Goldfield 2016 Morelli Lane Vineyard Zinfandel and its dense fruit and lush tannins. If you don’t have that vintage on hand, any dry, robust red would complement the dish nicely. Heat a tablespoon of the oil in a large skillet over medium-high heat. Add the mushrooms and cook for 10 minutes, stirring occasionally, until softened and fragrant. Transfer the mushrooms to a bowl. Pour in 1½ cups of the wine, stirring to incorporate. Cook until thick, 2 to 3 minutes.